The Fuling shale gas field, China’s largest of its kind, generated more than 6 billion cubic meters of shale gas in 2018, according to its developer China Petroleum and Chemical Corp, or Sinopec, the world’s largest refiner by volume. The gas field’s sales reached 5.78 billion cu m last year, placing the gas field top nationwide both for production and sales. Thanks to new domestic drilling technology and cost-cutting measures, the Fuling field, located in Southwest China’s Chongqing, had produced more than 21.5 billion cu m by the end of 2018, Sinopec said. The company has pledged to increase its share of clean energy production to more than 50 percent within six years, upping its output of shale gas, together with other forms of clean fuel, including natural gas and geothermal energy, and related facilities. Sinopec said it aims to help the country improve its energy structure and shift away from traditional energy sources, such as coal and oil. The Fuling shale gas field, China’s first commercial shale gas production program, began production in 2014. It produces natural gas and condensates, and has proven reserves of more than 600 billion cu m, making it the world’s second-largest shale gas field. The largest is in the United States. The discovery of the Fuling field is believed to play a significant role in accelerating the structural adjustment of China’s energy industry, meeting the ever-increasing gas demand in the country, and helping to promote energy conservation and emissions reduction. Shale gas is a natural gas trapped within shale formations. It has become an increasingly important source of natural gas, first in the United States and later in other countries including Canada and China. In 2011, the State Council categorized shale gas as the country’s 172nd mineral asset and started to manage it as an independent mineral resource. The discovery of the Fuling shale gas field marked an important strategic breakthrough in China’s shale gas development, signifying the market’s earlier-than-expected entry into large-scale commercial development, said Sinopec. 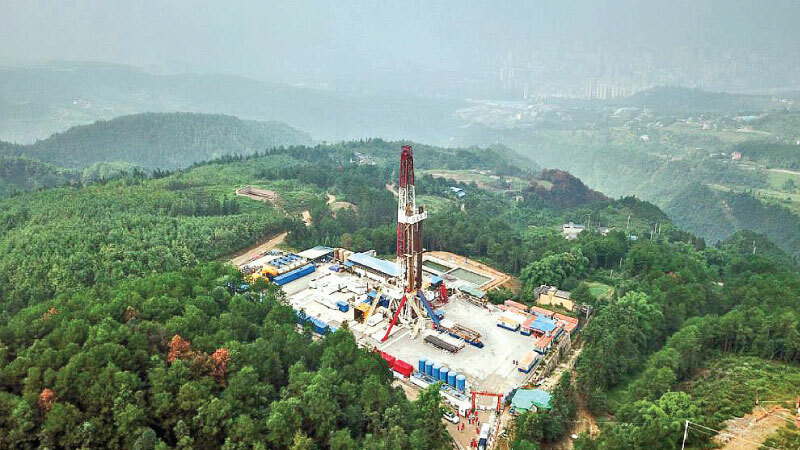 According to Li Li, research director at energy consulting company ICIS China, technological challenges are among the most significant factors dampening shale gas exploration in China. Shale formations in the country are deeper and more tectonically fractured, thus leading to higher costs and difficulties in maintaining wells while drilling, she added. However, the sector’s prospects remain promising, as natural gas prices are likely to surge in the future, Li said.